The iPhone 8 is expected to be launched on September 12. Apple has been hosting its iPhone launch events in September since 2012. September 12 also falls on a Tuesday, which is in line with the ongoing tradition. The iPhone has always been placed as a premium smartphone. 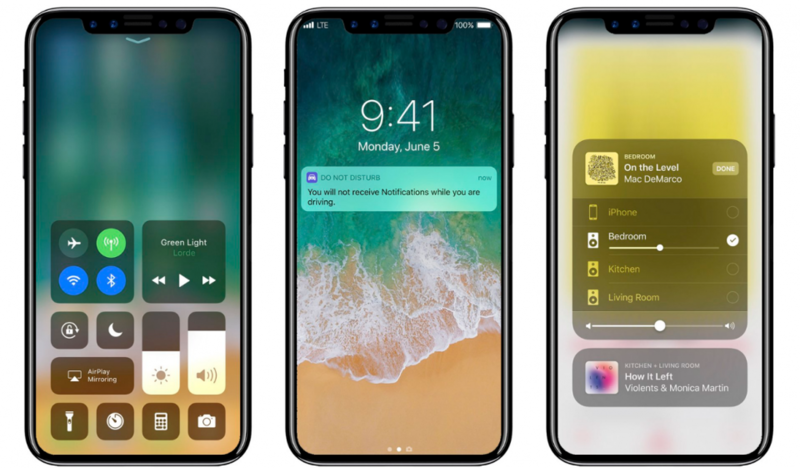 The iPhone 8 will take that premium to a notch higher, with a report at Forbes claiming that pricing could start at a whopping US $ 1,100 to US $ 1,200, with Apple only offering the iPhone in 128GB and 256GB configurations. Studying the price of each new iPhone also suggests that the new iPhone 8 could easily cross the $1,000 mark and become the most expensive iPhone yet. 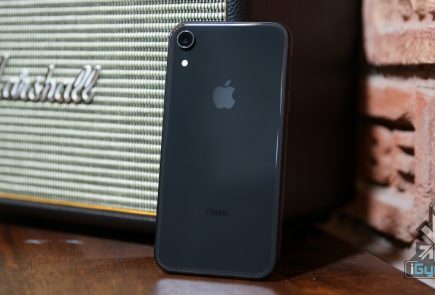 A new report by Mac4Ever suggests that the iPhone 8 will retail at a starting price of US $999 for the 64GB variant, US $1099 for the 256GB variant and US $1199 for the 512GB variant. The most talked-about feature of the upcoming iPhone 8 is its bezel less display. Ever since the launch of the Samsung Galaxy S8 and S8+ with the infinity display, rumors have suggested a bezel-less display on the next iPhone. Apple is also said to finally be using OLED panels, and rumors suggest that the iPhone 8 will feature a curved OLED display which will pit it against the Samsung Galaxy S8 and S8+’s display. FaceID/TouchID – No Home Button? An edge-to-edge to display means that just like Samsung, Apple will have to figure out the placement of the beloved TouchID home button. Apple appears to have grown weary of any buttons and instead FaceID is said to be used for the next iPhone 8. Recently, Apple has released the first build of the upcoming HomePod’s firmware which contains code for FaceID, codenamed PearlID due to the presence of infra-red face unlock in the biometric kit. What route Apple takes is yet to be seen but the latest leak all but confirms that FaceID will make its way into the iPhone 8. The leaked firmware of Apple’s HomePod has also revealed that the physical home button will be replaced with a virtual button. The Apple iPhone 7 Plus was Apple’s foray into dual-camera setups. The horizontally placed dual-camera setup was well-received after a few initial updates fixed the ‘portrait mode.’ Numerous leaks and renders of the iPhone 8 have pointed towards vertically placed dual-cameras. 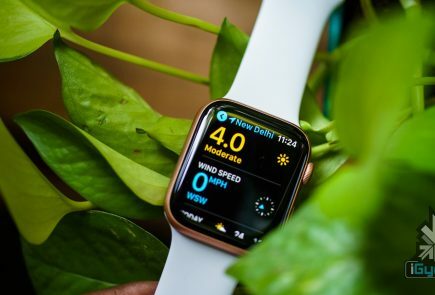 According to Korea Economic Daily, Apple is working on facial recognition technology leveraging the cameras for “biometric” identification. Like Touch ID — but with your face instead of your thumbprint. In addition to that, a leaked patent application spills out the details of a sensor that will tell you if you’re human or not. This is Apple’s effort towards developing a rear-facing 3D laser system that would improve AR depth detection as well autofocus for photography. The iPhone 8 will record 3840 x 2160 px 4K videos at 60 FPS with both the rear and front camera, according to the HomePod firmware leaks. The Apple HomePod firmware also suggests that the 4K video from the front and rear cameras will support Apple’s new HVEC file type, which reduces the file size by a significant amount. This makes sense because 4K videos generally have large file sizes and HVEC can reduce the size by almost 50 per cent resulting in better storage management. There were reports that Apple will be ditching the ‘Rose Gold’ colour variant for the iPhone 8. 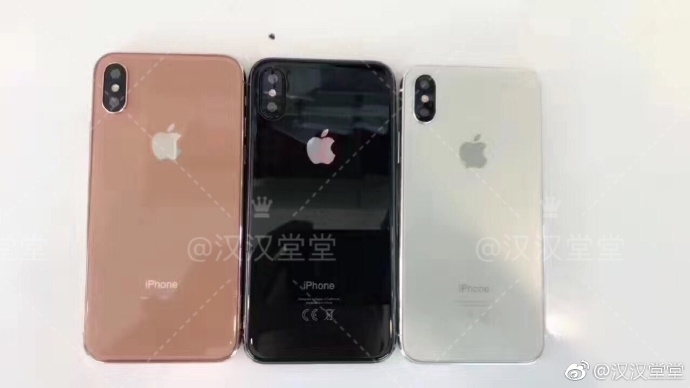 An image of three colour variants, Copper Gold, Silver and Black for the iPhone 8 was leaked on Weibo. The Copper Gold clour has never been used by Apple for its iPhone lineup and will be an interesting addition for the consumers. The silver colour indicates that the phone’s minimal bezels will be white in colour. 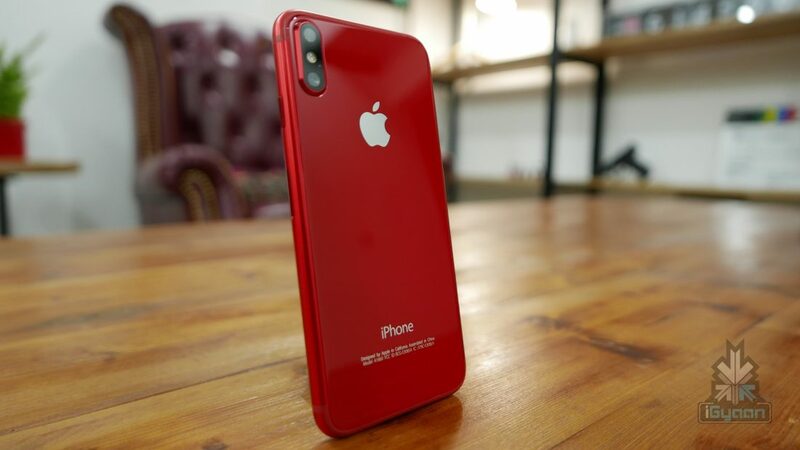 The iPhone 8 is also expected to make an appearance in the colour RED as a limited edition variant. 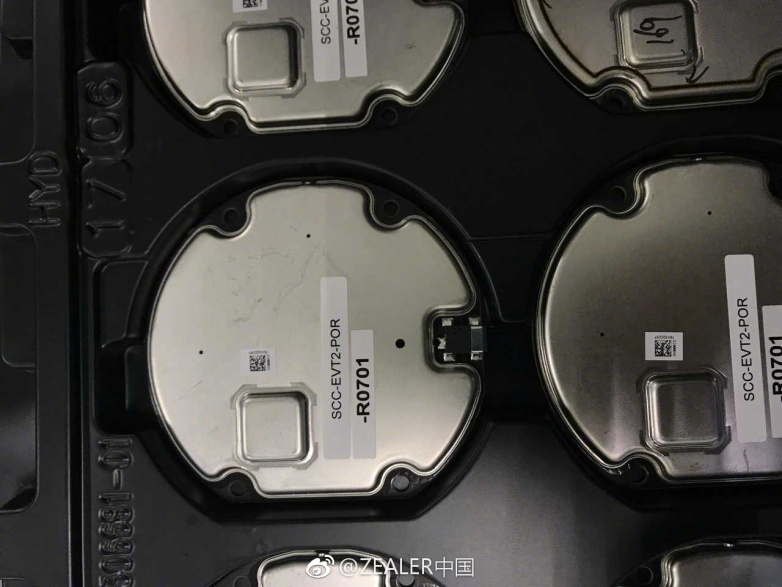 The images of the components of the new iPhones first appeared on Weibo. 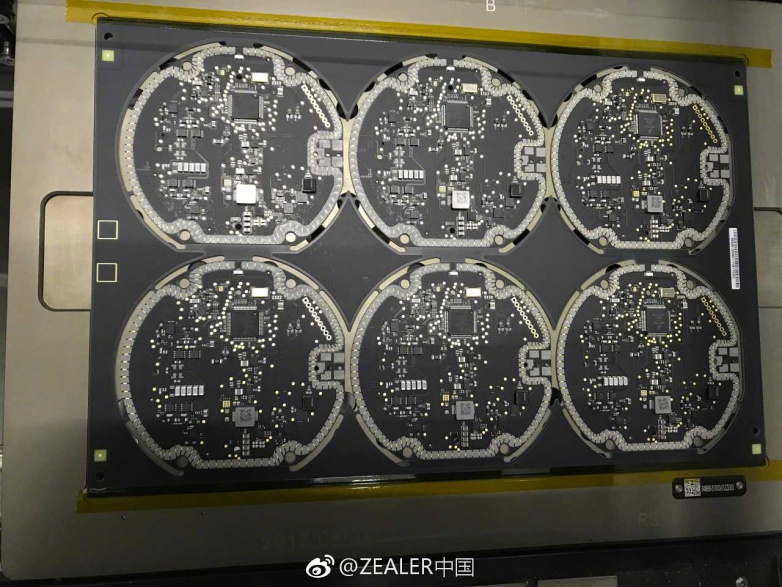 The images show the purported component that will enable wireless charging on all of Apple’s next-generation iPhones. 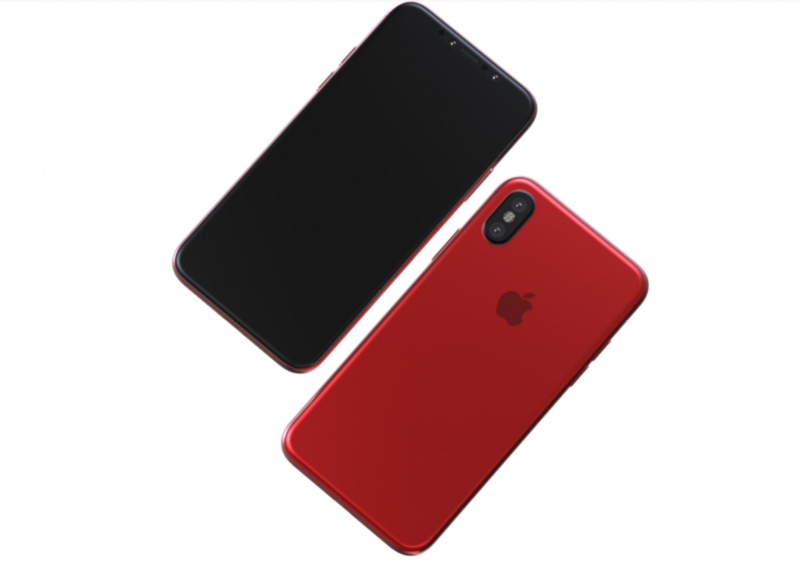 The part will be placed on the back of the iPhone 8, right under the rear glass shell. It has been already reported that the iPhone lineup will have a “glass sandwich” design, which means glass front and back. This news further legitimises the HomePod firmware leak which suggested that wireless charging support will be built into iOS. Having an all glass design allows manufacturers to add wireless charging capabilities even though it’s not as durable as having an all metal design. The Apple iPhone 8 is expected to run on the Apple A11 Chipset and have 4GB RAM. The iPhone 8 will be shipped in 64GB, 256GB and 512GB onboard storage variants. Apple at WWDC 2017 announced iOS 11 and the developer preview has already been seeded. iOS 11 has a newly redesigned control center, improved Siri functionalities and a screen record function among other things like a new file system, camera, and network functionality. 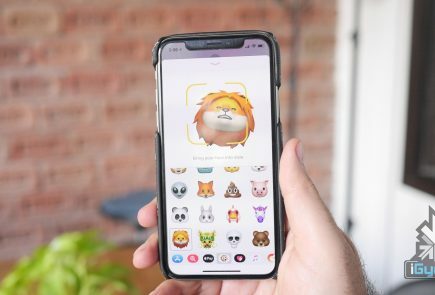 Apple also unveiled an array of AR applications which will be compatible with the iPhone 7 Plus and the next iPhone due to the requirement of a dual-camera setup. The leaked firmware has also unearthed a new ‘tap to wake’ feature on the iPhone which will be a welcome addition.